Shon was born and raised in Cleveland, Ohio for 25 years and in 2004 moved to Phoenix, Arizona with his family. He is happily married for ten years to Londina and has two children. 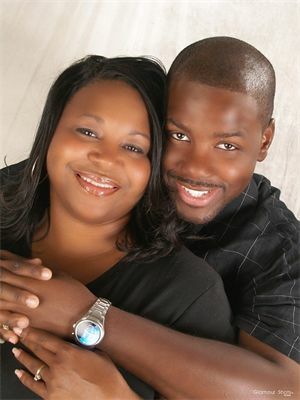 Shon is the owner of Never Again Ministries which promote Marriage Enhancement and Holistic Relationships in God. He’s an Author, Speaker, Ordained Minister, Mentor and radio personality for “The Doctor of Love” show. He is a certified Marriage Coach and the “Marriage Works” series from AACC (American Association of Christian Counselors). Shon is a fan of NFL football and UFC fights. Londina was born in Oakland, California. She has a B.A. in Social work and has over 20 years of ministry. She is also a speaker of marriage and how to be a successful single for God. Londina was a single parent for twelve years before marrying Shon. Londina is the Co Host “Doctor of Love” show. Londina likes spending quality time with her family and reading.